Taib Confirmed to Stay as President of PBB..
After All the 71 Divisions in PBB in unity to retain Pehin Taib as PBB President for 3 more Years.. This we tweeted today,”@PetraJayaMP Works Minister says his Pending PBB branch would not want to see anyone challenging the top posts. This have been echoed right through to all PBB divisions and Deputy President Abang Johari,Senior Vice President Awang Tengah, Information Chief Adenan Satem and other Divisional chiefs have made similar calls. 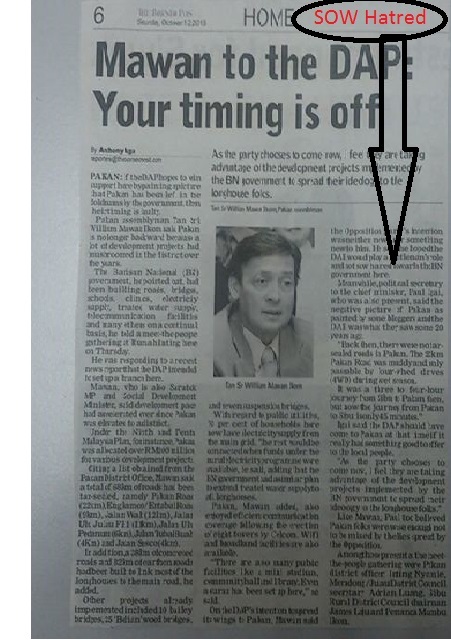 We wrote earlier a week ago https://audie61.wordpress.com/2013/09/11/taib-mahmud-to-be-uncontested-as-president/ and asked if there are any doubts? We received many calls and smses and all were positive towards the Chief Minister Pehin Sri to continue to lead not only PBB but also to continue to administer the State of Sarawak. Najib in his 50th Anniversary Speech at Padang Merdeka touched on the cordial working relationship between the Federal Government and the State Government under the leadership of Taib Mahmud. The confidence of the Federal government on Taibs administration is a clear indication that the Federal Government is very much behind the leadership of Taib Mahmud. The signals are clear for Middle Malaysia. There is no place for extremism or aggressiveness in politics . Middle Malaysia are those middle class wage earners and who represents nearly 70% of the workforce in Malaysia. They have their friends and families who are sitting in comfortable places in higher places and everyday living is enough for them and they thank God for it. Malaysia’s transformation towards a develop nation in 2020 will be a yardstick for them. They still need to put food on the table,roof over their heads and ensure that their children will be able to finish high school enter universities and have a good career. In school we are taught what we must do but in society and in political parties we want and must express what we are capable of doing meaning for the greater good of the country. There are the Khairy’s,Tony Puas,Tan Kai’s,Fadillah’s ,T.Mohan’s,Tan Keng Liang’s,Nasrudin Hassan’s,Jahid Jahim’s, Shamsul Iskandar Mohd Akin’s, Wee Ka Siong’s who are more than ready to take over. Somehow,somewhere there are HIDDEN HANDS who are putting STEEL WRAPPED COLLARS on their necks. Najib has encouraged and engaged the youths readily and the recent UMNO results shows that UMNO is heeding to the calls by mosts Middle Malaysians that there is NO ROOM WHATSOEVER for extremism in this country of theirs. The results will have significant shift for the younger generation who sees that if UMNO is able to give the chances to the younger politicians there are chances for them in this country. The young politicians are techsavvy,cool and knowledgable of the country’s needs and Middle Malaysia’s wants. How very true? Even amongst the “taiko gangs” if you are out of the scene your influence wanes. You still can call the shots but the younger leaders have many underhands who look up to them for a living and also advice.” The veteran leader and also Taiko have the monetary influence but the young can only swallow so much. No director will be that stupid to show in a ‘gang related movie” that shows a veteran underworld kingpin still managing to pull the strings. Occasionally they do just balance their books. It’s reality and politics too is very real. The next generation of leaders in BN and Pakatan will need to WIN the minds of middle Malaysia in order to survive in this ‘dog eat dog’ political world. Only those who know how to engage and knows the realities on the ground will be able to adjust themselves in the next generation of politics. Suffice to that there is no room for extremism and a hardline approach as the World is borderless now. There will not be a return to previous administration of who and which era and PM Najib and Anwar knows that they too will need to call time on their own political careers too. Najib knows that he needs Middle Malaysia to ensure he survives the topsy turvy world of Malaysian politics. 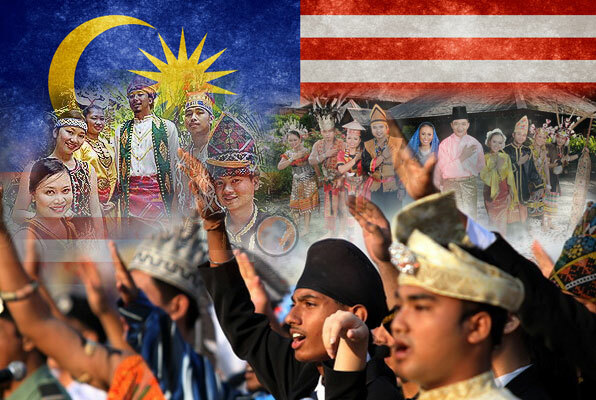 The days of “My Way” are long gone into the annals of Malaysian History for Middle Malaysia. DAP can harp on Malaysia for Malaysians but those are just rhetorics and slogans. Middle Malaysia knows what they want and that is simple. A job to go to, a family to feed,roof over their heads and ensure that their children are well educated. Also they do not need EXTREMISM to send the country to the gutters. We listened and when Khairy won with a majority he even telephoned me and said,’that is the challenge which PKR leaders will have to contain with. A young leader Khairy who is a leading moderate and progressive voice in the party” Middle Malaysia is watching on how the party moves forward and also how in the next couple of weeks PBB,MCA,Gerakans,MIC and PAS shuffle their cards in their party elections. Middle Malaysia are not so hard to please and one have only to read the history books to ensure whoever rules the country have to ensure that Malaysia will remain a United,Progressive, and Democratic Nation. DAP 30 years Too Late..?? Why are they attacking the Chief Minister who all these while have talked about Politics of Development? DAP must be “INPAIN” and not “IMPIAN” seeing their Pakatan partners in PAS and PKR not making much inroad in their quest to capture Sarawak from the Barisan Nasional Government. Now they are trying to capitalise on Volunteers and bringing in the “freshies” whose political ideologies are not so deep rooted and also not seeing that DAP is capitalising on them to spread the “WRONG MESSAGE” back to Peninsular Malaysia. If the 25 volunteers think they love Sarawak why don’t they stay down here in Sarawak for 6 months. Dont go back to your nice pillows and bed and your city life? 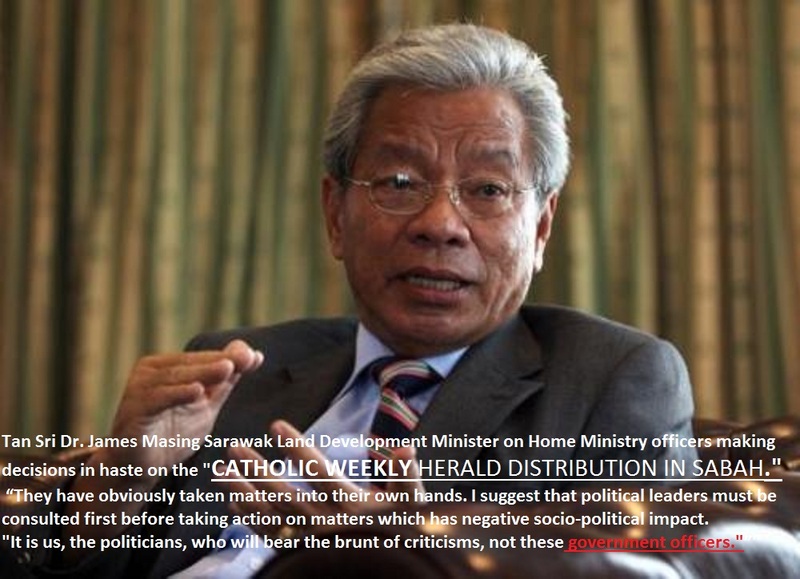 DAP is trying to “SOW HATRED” to the Taib administration and this is not healthy. Sorry young “freshies” you have been led astray. DAP should have done this 30 years ago. We wrote about 4 years ago on one dayak DAP Bidayuh leader Jeguk who was very vocal and now he has even realised that BN is the platform where his people will enjoy the benefits. DAP will say this next “ALL BOUGHT BACK BY BN GOVERMENT” Typical of DAP isn’t it? The DAP Dayak leaders who are speaking against the BN government are at one time also leaders in the BN component parties. They did not do enough on their part during their time and are now using DAP to further their agendas.